Is TRON: Legacy worth a 28 year wait? I saw the original TRON circa 1982. I enjoyed it - but wasn’t blown away by it. However it must have made an impression on me as - even though 1982 was a good year for films; Blade Runner, The Thing, E.T. : The Extra-Terrestrial, First Blood, Conan the Barbarian, Star Trek II: The Wrath of Khan, and Poltergeist amongst the best of the year. I remember the day I saw it. Look, the FX weren't great even to the eyes of a child - but some of it was so ingeniously creative one couldn’t help but enjoy the updated 80s Alice in Wonderland tale. I rated it along with Disney’s previous modern effort 3 years before - The Black Hole. 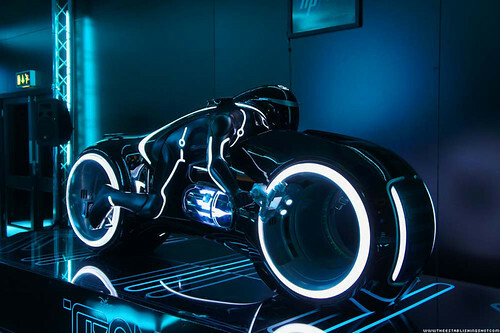 I loved the Light Cycles and everything about them, the identity discs, the stylised world of TRON. C’mon what of Jeff Bridges portrayal of Kevin Flynn the archetypal Slacker, the original Dude, the original real genius hacker that takes on the suited soulless corporate world. Also David Warner fresh in my mind as the Evil Genius from the previous year’s mind bending Time Bandits had returned, and was again a chilling villain in dual roles as Ed Dillinger / Sark. I remember leaving the screening and stopping to peruse the poster and Lobby cards for a little longer than my waiting ride would have liked. Similar TRON Lobby Cards in their original Disney envelope would soon make their way into my collection and held pride of place along with my original Jason and the Argonauts Lobby cards for some time. In the years to come Starlog, Variety and Entertainment News (there was no internet back then) would let me know just how groundbreaking TRON actually was. It was an inspiration to pursue a career in computer graphics and film. Again I was fully expecting a sequel that explored the world of TRON. But after a while wrote the possibility off as with The Black Hole, Disney left us hanging. Well I had to wait 28 years for but TRON: Legacy is here. I had eagerly been following the TRON: Legacy viral marketing and been actively taking place in some of the ARG efforts. I was aware that the marketing was to engage with the audience and get feedback as the film developed, but at the same time it was setting expectations. It seems Disney wanted to minimise their £110 million risk and took steps to ensure potential negativity was minimised for audiences by minimising surprise regarding the story, design, the look and feel. So before it’s release we pretty much knew that things had changed since we last visited the world of TRON, time had marched on all was not well on the Grid, Kevin Flynn seemed to be trapped in TRON world by his evil digital self, as well as had a son who was going to look for him. Pretty much I could have waited to see the film to find all this out. But I’m not ungrateful and very thankful for the opportunity to play games in Flynn’s Arcade and gape at a Light Cycle in real life. HP ePrint TRON: Legacy Experience - Outside Flynn's Arcade - London Southbank, originally uploaded by Craig Grobler. 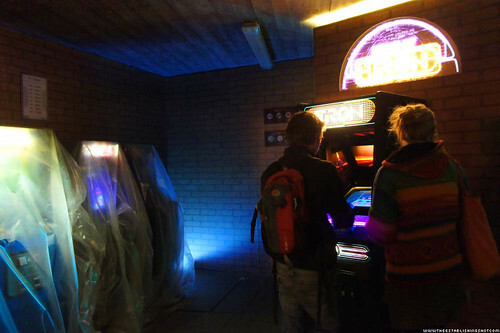 HP ePrint TRON: Legacy Experience - Inside Flynn's Arcade - London Southbank, originally uploaded by Craig Grobler. HP ePrint TRON: Legacy Experience - Tron Light Cycle - London Southbank, originally uploaded by Craig Grobler. I was worried that elements from the film may become overexposed and too familiar to me and easier for me to put together the remaining bits of the story. So around August I unplugged and disconnected from TRON. In fact when TRON: Legacy Production Executive Brigham Taylor showed us some early footage at Empire’s Moviecon the only question I had for him was - “Is there a danger that we are seeing too much of TRON?” Unfortunately Taylor didn’t take audience questions so I never got to hear Disney’s thoughts about this. Anyway earlier today I braved the snow and London pre-Christmas crowds and trundled off to The Empire for the first Show Film First Online Opinion Formers Showcase. 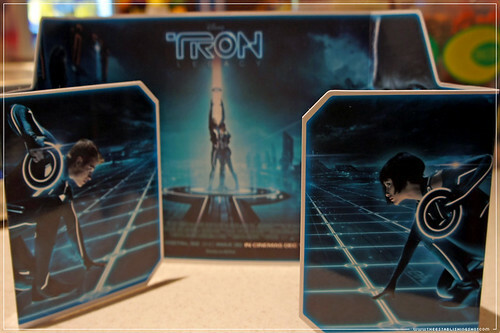 Two secret films were scheduled for screening - rumours, hopes and guesses were abound that TRON: Legacy was on the cards. 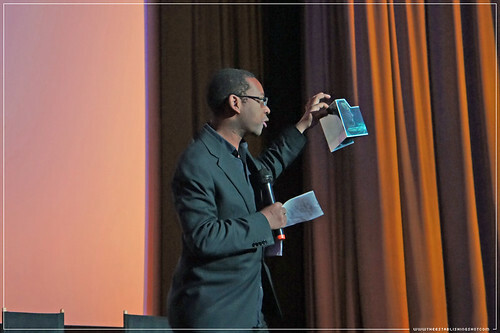 Host Lizo Mzimba holding up our TRON: Legacy tickets, originally uploaded by Craig Grobler. Security was tight and anticipation very high. With crowds queuing to ensure they got a decent seat for the TRON: Legacy screening. Once seated host Lizo Mzimba kept audience buzz high and got us in the mood for the screening as he welcomed TRON: Legacy director Joseph Kosinski on to the stage to introduce TRON: Legacy. Empire Aligning the 4 3D Projectors for the TRON: Legacy screening, originally uploaded by Craig Grobler. 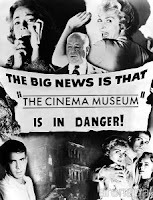 Sorry there are no photos or video for some reason Distributors/Studios think that taking pictures or video before a film will somehow magically copy their film, despite the very competant army of security with electronic detection equipment monitoring the auditorium. Granted the jackass that wouldn’t get off his phone despite being asked numerous times didn’t help my argument. Yet, the irony of an event for those intended to create buzz but not allowing them to create content doesn’t escape me. Anyway thanks to Show Film First as they have promised to allow access to media created by their team at the event - not sure how that helps me today though? Ticket for the TRON: Legacy screening, originally uploaded by Craig Grobler. It was all a bit of a blur but Kosinski said something to the effect that after 3 years, production on TRON: Legacy had finally ended 3 weeks ago. There were 1000s of people to thank for making Tron and that he was happy to finally be able to screen the film without apologising or flagging up that some elements (sound, FX) were not ready yet. The audience breaks out into applause. 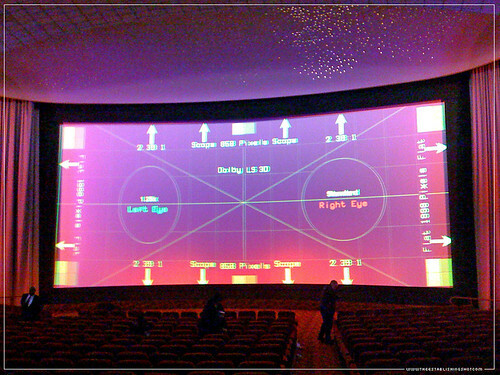 A slight pause and then the four projectors required to screen TRON: Legacy in 3D beam into life. Before the curtains are completely open. A text entry cursor blinks and we are told that “some parts of the film are in 2D as they were originally filmed and meant to be seen. Put your 3D glasses on and keep them on”. Laser scans blink into life and pretty soon their beams are shooting out the screen into the audience. The beams come together and create a modern digital 3D version of the Disney castle logo. Setting the tone and letting us know that this is not Sleeping Beauty Disney. I have to say the 3D was spectacular so far. I shout out a hoot and start clapping, I’m not left hanging as the anticipation breaks with the audience erupting into cheers and claps. We are in that place, the zone, the sweet spot where possibilities are boundless and we are ready. We fly over the river in front of the Disney castle, this becomes the sea which leads us to the exterior of the Flynn home where Kevin Flynn is tucking Sam into bed with a story of a digital world, its inhabitants, a miracle that will change everything and how he can’t wait to show Sam this world. Kevin Flynn senior then heads off into the night on his Ducati, towards his office. He doesn’t return. So begins TRON: Legacy. 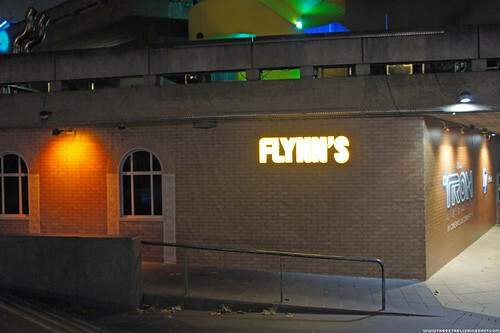 In the next couple of scenes we found out what has happened since Flynn’s disappearance, with ENCOM, Alan Bradley and their relationship with Sam Flynn. Estranged and alone Sam has become a devil may care hell raiser. A slightly more extreme chip off the old block. If you have seen any of the trailers you know pretty soon Sam is digitized and makes his way into the world of TRON. Please don’t mistake the lack of descriptive adverbs in the previous bit for anything other than me wanting to rush to the next bit. It’s all beautifully shot, characters are engaging and the framework for the story is established including some nice references to the original TRON. By this point in the story TRON was immersive enough that I was unsure what was - 3D and 2D, I was loving it. So Sam Flynn’s digitized and through him we discover the jaw dropping, utterly mind-blowing and visually stimulating world of TRON. Not only is the; architecture, landscapes (digiscapes? ), vehicles and clothes all well thought out, but no corners were cut in transforming design vision into screen reality. What pushed the vision over the edge for me was that the characters (program’s) personalities are totally in line with this world and spot on. I was in awe of TRON world but there isn’t enough time to dwell on the delicious detail as Sam is rounded up with other corrupt programs. On a side note the latent sexuality that Cameron was aiming for in the fantast 3D world of Avatar is alive and well in TRON: Legacy. The highlight coming when Sam is on the Grid, in the games arena and he’s got to survive. I won’t give too much detail but Sam’s on a Light Cycle, his discoveries are mine, his failings – my learnings and his triumphs mine I’m a child in awe of the magic on the screen I’m sitting in my seat with a strange woman annoyingly trying to assert her self by ignoring personal space boundaries but inside I’m hooting and punching the sky. Sure if I was to be hyper critical I could pick holes in the whole Sam mastering the “games” etc. but he is not a regular TRON world citizen he’s a User (not a program), Flynn’s son and supposed to be fairly adept in high speed & extreme daredevilry. In my opinion this is one of the most impressive scenes in cinema in a long time. From here we really start to understand the dynamics of the world of TRON, Flynn’s situation, reconciliation between father & son as well as some unexpected developments at the heart of the story. 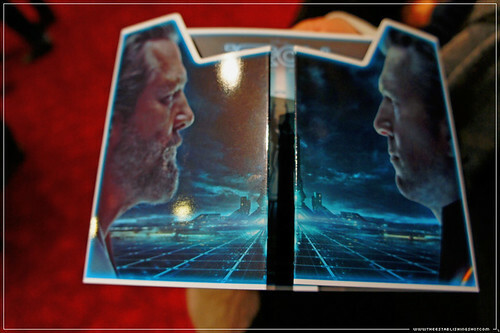 In short - all the promise of the TRON: Legacy marketing is delivered on. It is a great visual spectacle. Avatar opened the door for visual 3D digital extravaganzas TRON: Legacy then firmly freight trains in “like a missile the size of the Chrysler building” not only removing the door from its hinges but taking the whole front wall of the house along with it. 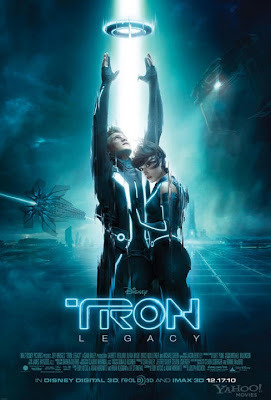 I loved TRON: Legacy. I saw the original in the context that it was meant and as much as it was an incredible concept and pioneering computer graphics and film integration - the technology just couldn’t match the vision. TRON: Legacy doesn’t fail in this respect it pushes the boundaries and delivered on the promise of what can be, the results are up on the screen for all to see. Visually it has no rivals, absolutely stunning as is - but all encompassing in 3D. That combined with the sound design that was given as much attention as the visuals poured like honey into my ears from the Empire’s 56 kilowatt THX certified sound system. 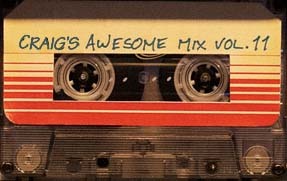 I should mention that Daft Punk’s aural contribution is worth the wait. The only real issue I had with any of the FX is predictably the same one that Joseph Kosinski has openly spoken about. Young Kevin Flynn looks like he is wearing a weird rubber mask, as Clu it’s not so grating as he is a digital replica of Flynn but as the younger Flynn it’s disconcerting in comparison to the rest of the visual spectacular. I’m sure Ray Harryhausen will have a chuckle when he sees this. What of the story? Despite having a deep 28 year legacy TRON: Legacy certainly beats the weak original. Whereas Avatar was pioneering the space and kept its story line disappointingly lean (I suspect that in sequels the full benefits of this will be realised) TRON has been able to flesh out it’s story and it’s history easily provides depth. TRON: Legacy has to serve two major audiences; fans of the original and the newer younger disposable income rich segment. The pacing is a little fast as a lot of history has to be covered very quickly to bring us up to speed, this overflows into us having to take a bit of a leap of faith regarding Sam’s speedy orientation into TRON’s world. I think the filmmakers had to make a sacrifice somewhere to get into the story as quickly as possible. They could have done a lot worse I for one went with it and was delighted by the ride. Despite the incredible world we immerse ourselves in Jeff Bridges is given a free reign to create a spiritual mystic that shines like Yoda/Zen master. He steals the show as and we are always left wanting to see more. Also outstanding was Olivia Wilde’s subtle performance as Quorra everything about her is some kind of wonderful. Garrett Hedlund picks up the mantle of the new Flynn admirably. The only character bits I wasn’t wild about was Michael Sheen’s Castor - its not really his performance - it’s the way some of his earlier setting scenes are shot they are slightly incongruent with the design of the rest of the film. And even though Beau Garrett has a relatively small but pivotal role as Siren #1 Gem, she’ll stay with you for awhile after the film has ended. There is much of TRON: Legacy that is outstanding; but the overall vision and the design to realise that vision on screen have to be on the top of the list. Part of realizing the vision is Claudio Miranda’s cinematography giving the digital world some grounding.